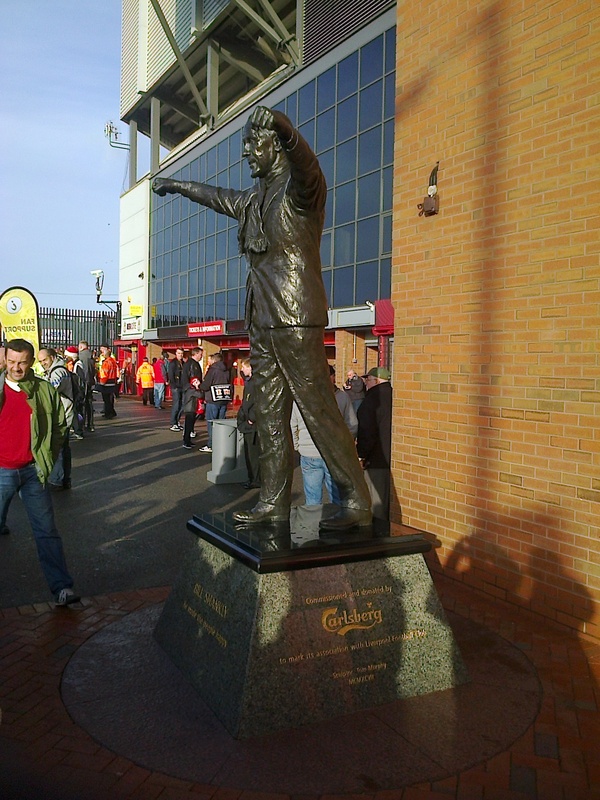 In this last update of 2013 there’s news of further busy times and fundraising – and an emotional day at Anfield to see Cardiff play Liverpool. On the fundraising front I must thank Tony Sykes and everyone at Holme Valley Karate and Judo Academy for the third fund raising event they have run. On Sunday 15th the Academy raised nearly £400 with their end of year demonstration event at Holmfirth Civic Hall. It was packed – great atmosphere and full of good people. The cake stall and raffle were excellent and so many thanks to Tracey Hawley (Mum of a good friend of Huw’s) for organising the baking and also to the lady who provided the raffle prize. 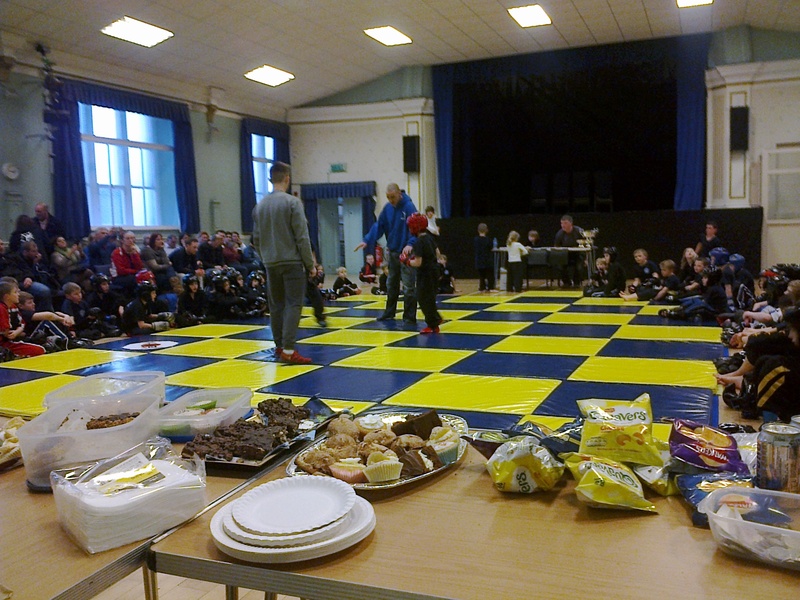 Tony Sykes is such a good guy and it was a great community afternoon – well done to all the children and young people for putting on such a good event in what is a tough sport. And I want to say thank you too to Huw’s Uncle Steve and friend Sandra who donated their (£80 and £40 respectively) winnings from their ‘I’m a Celebrity….’ competition down there in Cardiff. It sounds a lot of fun and it means a lot that one of the Uncles that Huw had such great banter with was once again, so generous….. in keeping with the rest of the family who adored Huwie. I’ll be back in the New Year with an annual report on what happened with the Huw Trust in 2013 and with news on what’s coming up in 2014. I want to wish everyone who has supported the Huw Trust over the last few years, very best wishes for the New Year and for Christmas. I am going to finish this report with my reflections on an emotional day at Anfield where Carys and I went to watch Cardiff play Liverpool. Apart from Cardiff, Liverpool is the club that evokes emotions for me like no other. Huw had a big soft spot for Liverpool – sharing a birthday with former player Xabi Olonso and reading Steven Gerrard’s biography (on more than one occasion!) Huw used to talk to his friend Sam about Liverpool so it was good to travel to the match with Sam and Russ – thank you to them for the lift and also for the memories – especially as Huw, Carys and I had been to Cardiff football with Sam before – all be it at the more modest surroundings at Scunthorpe! Thank you too to Rod, for getting us the tickets for Liverpool today. Anfield is a revered venue in my eyes – home of the famous Liverpool ‘boot room’, home of legends from years when I was Huw’s age – like Kevin Keegan and former Cardiff player, John Toshack – and most of all home ground to the 96 who lost their lives at Hillsborough. I talked to Huw about all of this and of taking him to Anfield to see a Premiership match – it was a trip on our list of ‘must do’ events. We had talked about Liverpool legends from the past and what the club stood for. We talked about Hillsborough and we talked about the song ‘You’ll Never Walk Alone’. We talked about yesterday’s heroes like Bill Shankly and today’s heroes alike. Today Carys and I watched Cardiff walk out at Anfield and witnessed the sporting media pointing their lenses at the Cardiff manager who showed great dignity and courage in difficult circumstances. Everything about today would have fascinated Huw – it was a day he would have been absorbed by. I can see his face, hear the questions he would have asked, and the hugs we would have had as Cardiff scored in the second half. 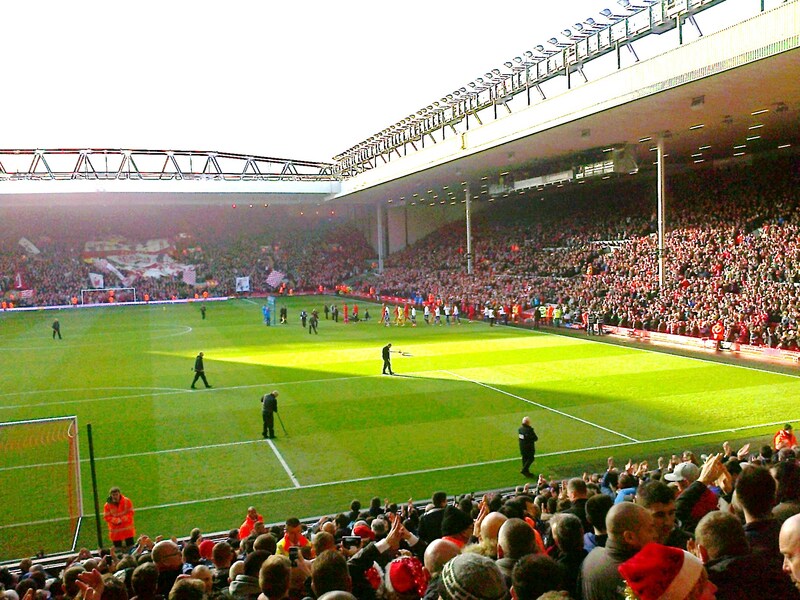 Anfield and Liverpool FC are associated with both unique successes and desperate tragedies – a reflection of the differing emotions of life in general. Today, Carys and I went to look at the statue of Bill Shankly who had his first match in charge of Liverpool, the last time Cardiff played Liverpool in a league match – back in 1959. We cheered on our team. We saw 46,000 people get behind the under-seige Cardiff manager who has brought so many smiles to our faces over the last few years. Going to watch Cardiff City has given Carys and I great comfort and connection with Huw – over the last 3 years. To see our team play at Anfield and to be part of a crowd that showed support for the most important aspects of the game, was something we were glad to be part of.